While working out at a local weight room, I had the privilege of getting to know Betty Jean McHugh, the world’s fastest 83-year old long-distance runner. Interviewed on TV and newspaper, she has been called the flying granny. Jack Taunton, Chief Medical Officer for the Vancouver Winter Olympics, called her one of the most remarkable senior runners we have seen. Betty Jean is so positive and energetic that she inspires the rest of us to not give up on our health goals. Recently I met her at the Parkgate Village right next to the Bean Around the World coffee shop. She told me of her tri-generational plans to run in the December 2012 Hawaiian Marathon, along with her son Brent and her grandchild. 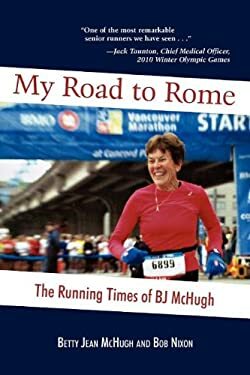 After reading her book My Road to Rome, I knew that I needed to celebrate BJ’s achievements as a Mother’s Day marathoner. One of her great lifetime highlights which she talked about extensively throughout her book was an all-expense-paid trip to run in the Rome 2009 Marathon. There are now five million North American women running, compared to less than one million in the 1980s. Women, many of whom are mothers, now outnumber men at running events. BJ has run in 14 marathons and over 300 road races. Running four times a week at 5:45am, BJ has broken a dozen Canadian and world records. 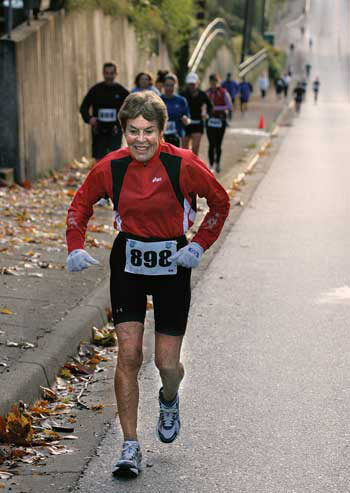 She started running at age 55, a time when many others were hanging up their running shoes. While BJ has been injured many times over the years, she never gave up, saying that she ‘was not going to accept the ravages of time without a fight.’ Running has become for her as much part of her life as ‘brushing her teeth’. BJ’s determination is an inspiration to watch. She not only runs and works out at the gym, but also has been an avid North Shore skier since the early 1950s. BJ even climbs the Grouse Grind with her grandchild. 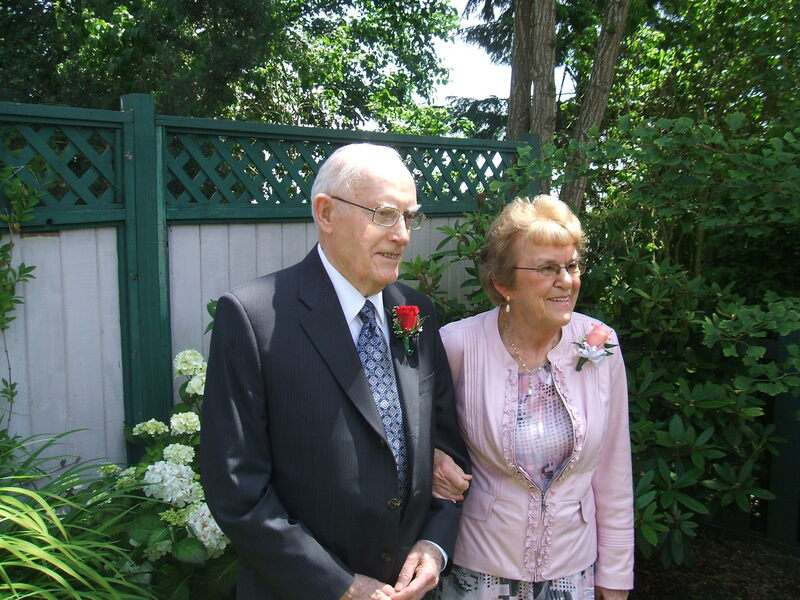 Such athletic involvement helped condition her to become a leading octogenarian runner. She acknowledges that there are thousands of times when she felt like not bothering. “Excuses are easy; commitment is hard”, says BJ. But she just keeps putting one foot in front of the other and goes for it regardless. Every marathon, says BJ, is a journey into the unknown. You train and train and train again, and think that you are ready. But you never really know how your body is going to fare over 42 kilometres of running. Once while running in a Vancouver marathon, she became more and more concerned about finishing well: ‘I feared hitting the dreaded ‘wall’, that point at which the body has used up all its reserves.’ Finishing well is a challenge for all of us, whether in a marathon, in our business, or in our family. It is about ultimately facing the question: will my life have made a difference? BJ is an example of someone who is finishing well, whose life is making a difference. She has chosen to give her best into what she believes in and is passionate about. BJ is leaving a legacy that other younger people will be able to tap into. One of my mentors, Paul, said that he fought the good fight, he finished the race, he kept the faith (2 Timothy 4:7). Even though Paul was tragically killed, he finished well. Paul also recognized that physical exercise was of real value, but he pointed us to the even greater significance of spiritual exercise (1 Timothy 4:8). 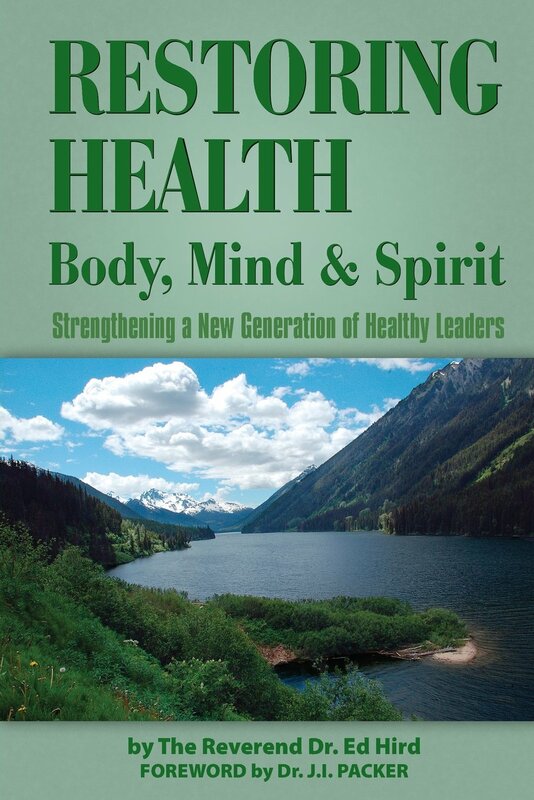 Part of finishing well is a commitment to being healthy in body, mind and spirit. If we neglect any of those three, we are the poorer for it. Life is a marathon. Life is about discipline. Life is about finishing well. 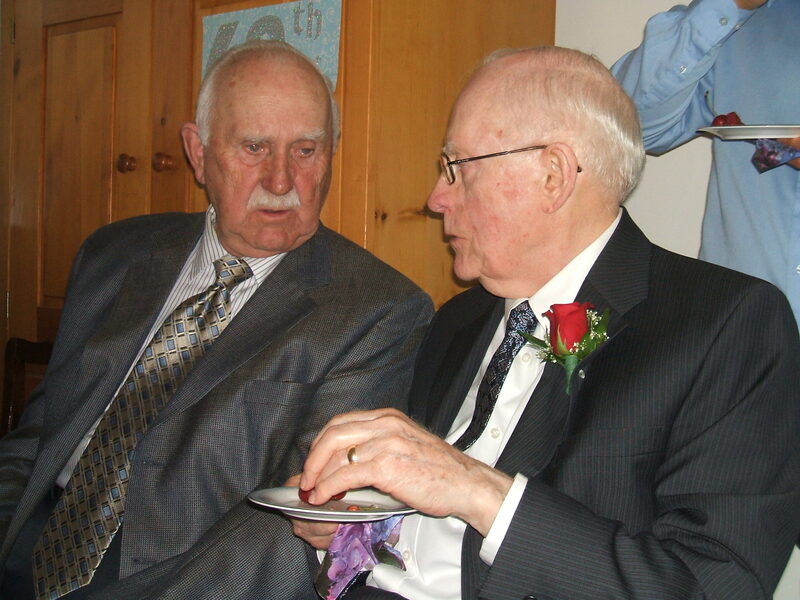 My Mother’s Day prayer for those reading this article is that BJ McHugh’s example will inspire all of us to discipline ourselves in body, mind and spirit so that we may truly finish well. Categories: Uncategorized | Tags: ACiC, AMiA, Anglican Mission in the Americas, Battle for the Soul of Canada, Bean around the world, Betty Jean McHugh, BJ McHugh, body, Brent McHugh, Church, commitment, finishing the race, finishing well, fought the good fight, Great Depression, Grouse Grind, Hawaiian Marathon, Jack Taunton, kept the faith, legacy, making a difference, marathoner, mind and spirit, Mother's Day, My Road to Rome, North Shore, Parkgate Library, Parkgate Rec Centre, Parkgate Shopping Centre, Parkgate Village, physical exercise, Rome 2009 Marathon, running shoes, skiier, spiritual exercise, St. Simon's Church North Vancouver, Stanwood Ontario, TheAM, Vancouver Winter Olympics, weight room, World Records | Permalink. Imagine a world in which all dads were suddenly removed from the face of the earth. What would be missing? In a nutshell, we would be missing a lot of ‘player coaches’. Dads at their best love to root for their kids, to cheer them on, to give them tips. Dads are natural coaches. But dads are also player coaches. Dads at their best love to play. Most dads at heart are over-grown kids who wish that they were back on their childhood baseball diamond, soccer field or hockey rink. Having kids of one’s own is the perfect excuse to cut loose from adult pressures and reconnect with what really matters. I want to say to dads: ‘We need you, we appreciate you, and we value your contribution to making our lives a better place’. I am deeply grateful that family matters so much to my own father. He invested in me in countless ways that I am just discovering fifty-five years later. 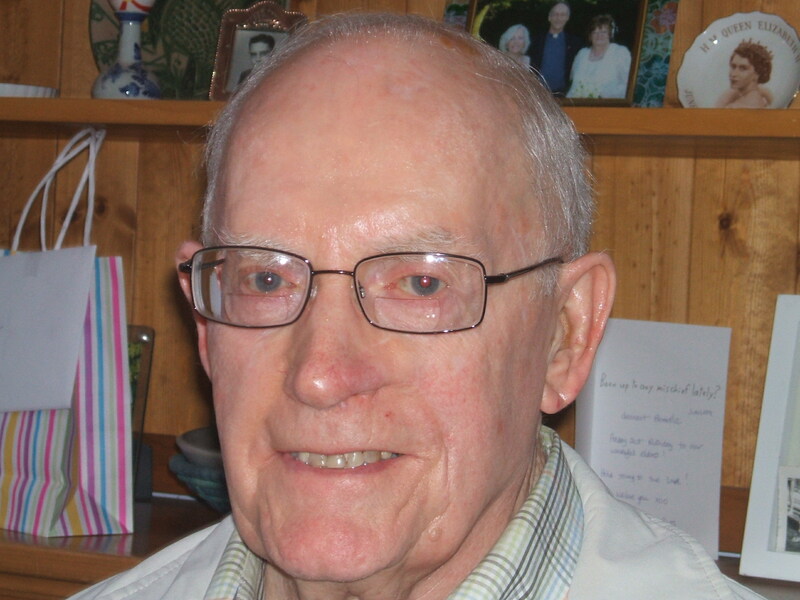 While I loved my father, I took so much of his generosity for granted. It is only as I invest in my three boys with my time, talent, and treasure, that I understand what an enormous commitment it is to be a caring father. Commitment is a scary thing. Family and marriage require from us Dads 110% and more. I am so grateful that my father never ran from my family. One of the greatest gifts that my Dad could ever give me is that he showed much love to my late Mom, whom he was married to for 66 years. The longer I live, the more grateful I am for my father. He has always cheered for me when I have faced life’s obstacles. As I look at my father, I see confidence, competence, and creativity. My father never lets anything stop him in his tracks. Whether he has worked on his computer or in his workshop, he never let failure discourage him. He just tries and tries again, always experimenting with a slightly different technique. My Dad’s willingness to keep on learning has kept him young at heart. I pray that in the years ahead that I too may remain teachable, flexible, and willing to take risks. When a prison chaplain once offered free Mother’s Day cards to inmates, they were all snapped up in minutes. But when he offered free Father’s Day cards, there were few takers. Sadly many young men and women today have grown up with little or no experience of a father’s love. There is often no ‘player coach’ in their lives. More than ever before, our youth are a fatherless generation. So much crime, violence, drug usage, and promiscuity flows directly out of the pain of fatherlessness. One counselor said that fathers are meant to be the ‘halfway house’ between childhood and adulthood. As Dads bless their teenage sons and daughters, they empower them to be courageous and yet wise, bold and yet discerning. Without the father’s blessing, many teens feel unwanted, uncared for, and unaffirmed. This can be equally true for single parent families and workaholic two-parent families. The tragedy is that fatherlessness so often carries on generation after generation. Our hearts need to go wide open towards the fatherless. As the good book tells us, God is the father of the fatherless, the defender of widows and orphans (Psalm 68). God is turning the hearts of the fathers back to their children and the children back to their fathers (Malachi 4:6). My prayer for those reading this article is that each of us would experience the Father’s heart of love for his lost sons and daughters. The Father loves you more than your wildest imagination. The Father is cheering for you to make the best of your life. The Father wants to wrap you in his loving arms. Categories: Uncategorized | Tags: Anglican Coalition in Canada, Anglican Mission in the Americas (Canada), baseball, Battle for the Soul of Canada, coach, commitment, dad, family, father, father of the fatherless, father's day, fatherless, halfway house, hockey, marriage, Mother's Day, orphans, player coach, Rev Ed Hird, soccer, St. Simon's Church North Vancouver, talent, time, treasure, widows | Permalink.